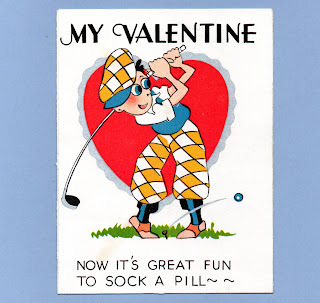 Vintage Valentine Museum: Golfers Stay the Course FORE you! Golfers Stay the Course FORE you! 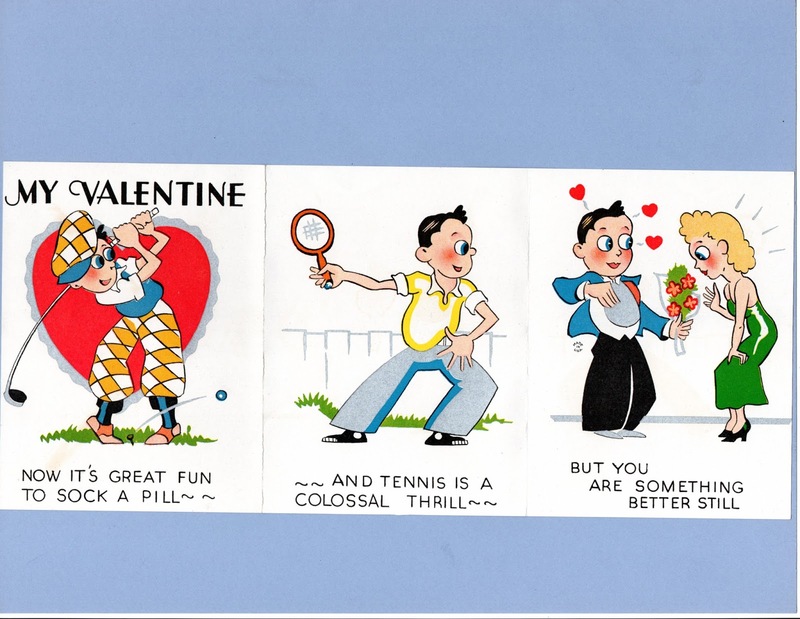 My Valentine Now it's great fun to sock a pill ~~ And tennis is a colossal thrill ~~ But you are something better still. You suit me to a TEE! 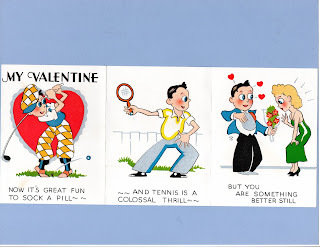 I'm all FORE you my VALENTINE. 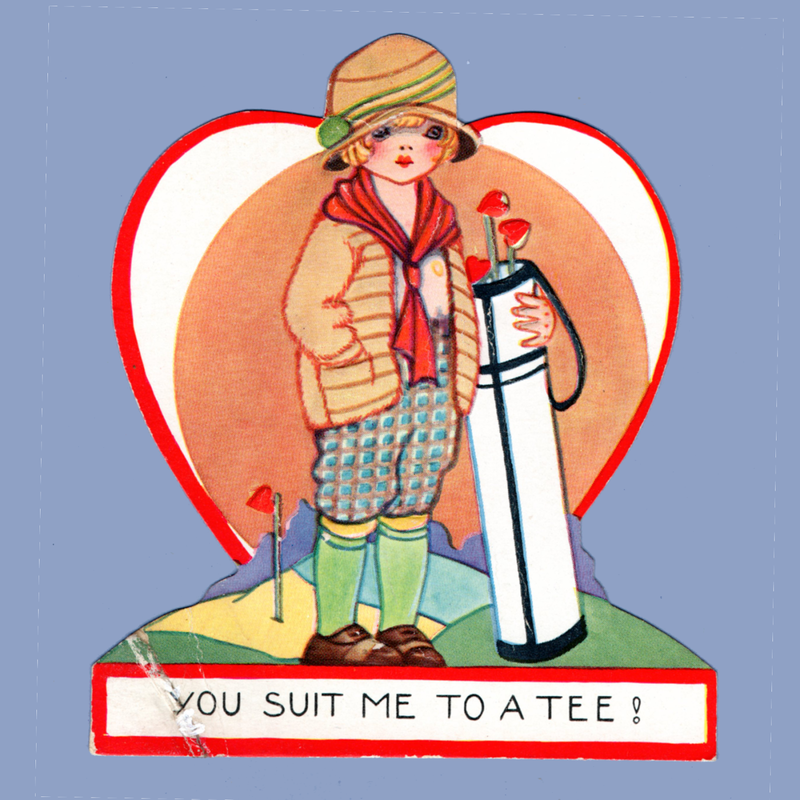 Though I'm just an everyday CADDY I'd sure like to be your LADDIE Aw' come on and be my Valentine. 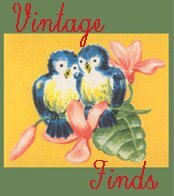 Of course I want you for my Valentine. I'd be up to PAR with you as my Valentine!